Whoa… has it really been two months? I can’t believe my last post was in May. A lot has happened in the past two months, I guess! I got a new job and we introduced a new member to our family!!!! 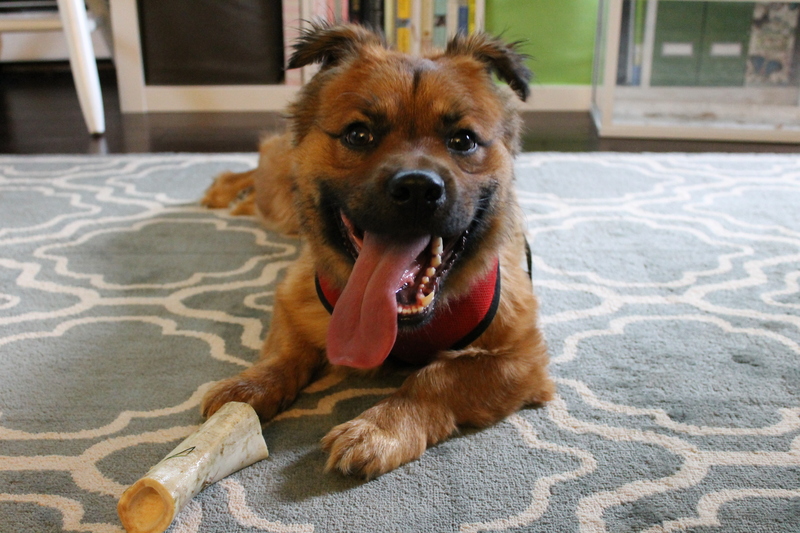 We adopted our little Ziggy about a month ago. He has been an amazing puppy and we are absolutely in love with him. Our schedule has changed a bit with the puppy schedule (wake up calls at 5:30 every morning, though lately, he has been letting us sleep in until 6 am). On top of that, my schedule for work has changed because my new job is a bit of a further commute. Out the door around 7:20 am and often not home until 7:00 pm. I haven’t really been cooking as much, but I miss it. We don’t have many plans for tomorrow (Sunday), so maybe I’ll spend some time at my favorite grocery stores and spend the day cooking meals for the week! In a large skillet over medium high heat, melt the butter and add the garlic cloves. Saute garlic until nice and golden. 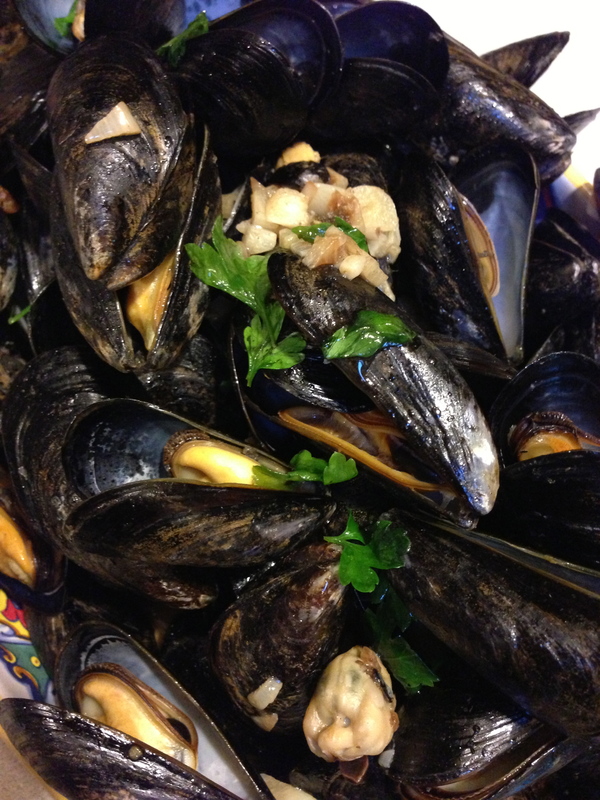 Add mussels and mix well with the butter/garlic mixture. Saute for about 5 minutes. Turn to low heat. Add white wine and simmer for 3 minutes. Cover for 5-7 minutes, or until mussels open up. 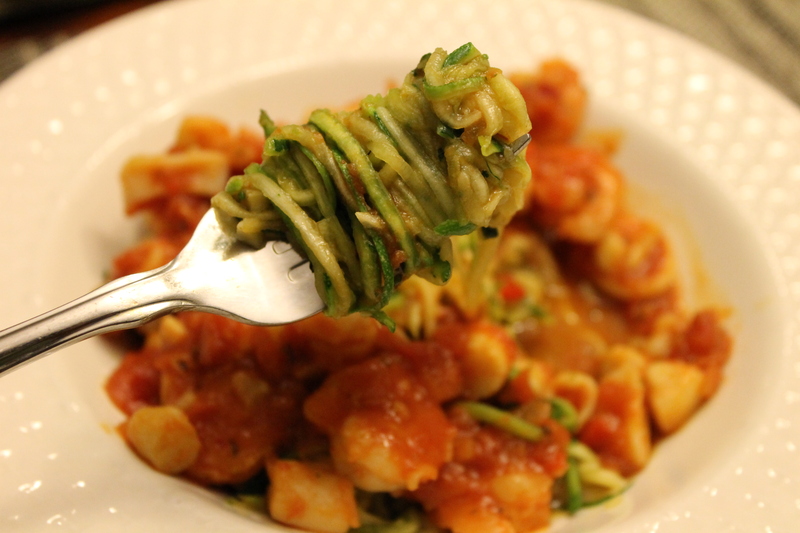 Top with fresh parsley and enjoy! 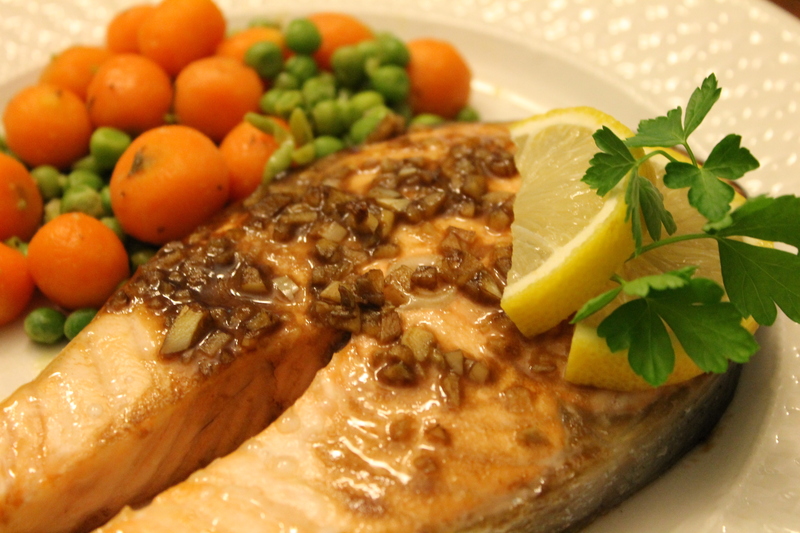 Optional – Serve with french bread to soak up the wonderful white wine sauce. 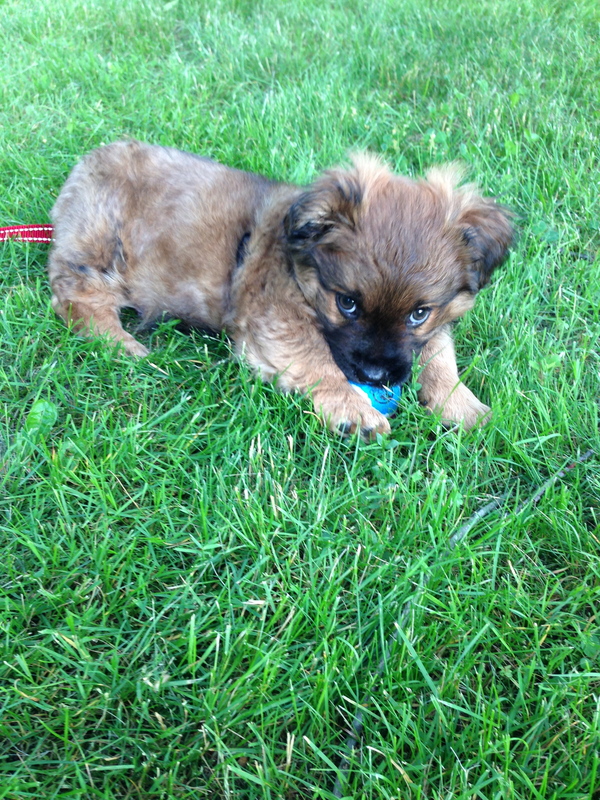 And…… here’s a picture of our little pup! Shopping at an Asian grocery store opens up so many new opportunities in the kitchen. I took a special trip to H-Mart this weekend with my parents. I could spend hours in that grocery store, just getting lost perusing the endless possibilities in every aisle. Tonight’s meal features a really simple Japanese dish – Chirashi. No cooking necessary. I even got the cooked rice bowls. Just needed to pop that sucker in the microwave. Everything else was already prepared. No effort required at all. And oh so healthy. I wish we could eat this every night. But then we’d be broke. 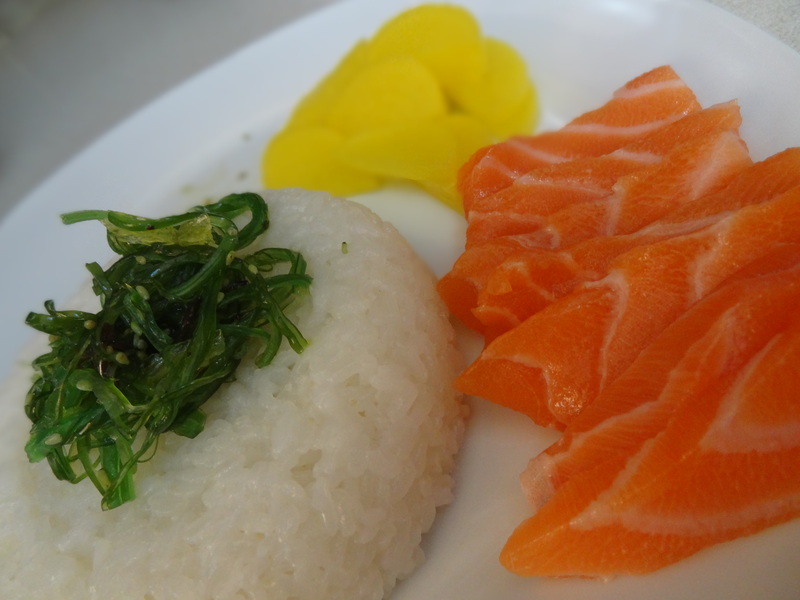 Ingredients: White rice, seaweed salad, pickled daikon radish, salmon sashimi. A Filipino meal that’s somewhat healthy! As you’re probably aware by now, I’ve adapted a semi-Paleo lifestyle. Personally, I cannot commit to 100% Paleo diet; there are some foods that I can’t give up (being Chinese American, I absolutely love my Jasmine rice, among many other things), but there are also some aspects of the Paleo diet that I don’t understand or agree with. 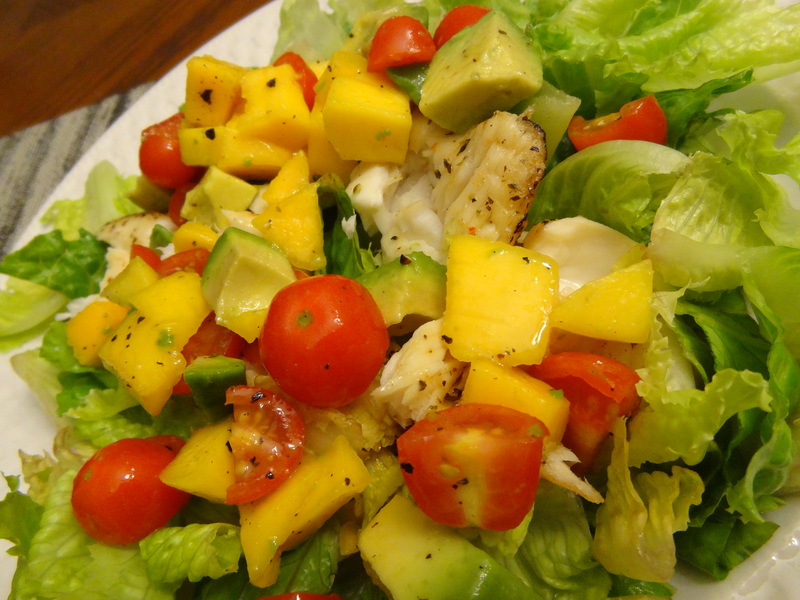 One of the items excluded in the Paleo diet are legumes. Based on my research, it seems that legumes are made up like grains. Multiple sources continue to describe the high amount of lectins, which is a sugar binding protein. (BTW, I had to google what lectins even were). I don’t know… I think all vegetables are great for your health and high in fiber, so I’ll continue to consume my legumes, thank you very much. 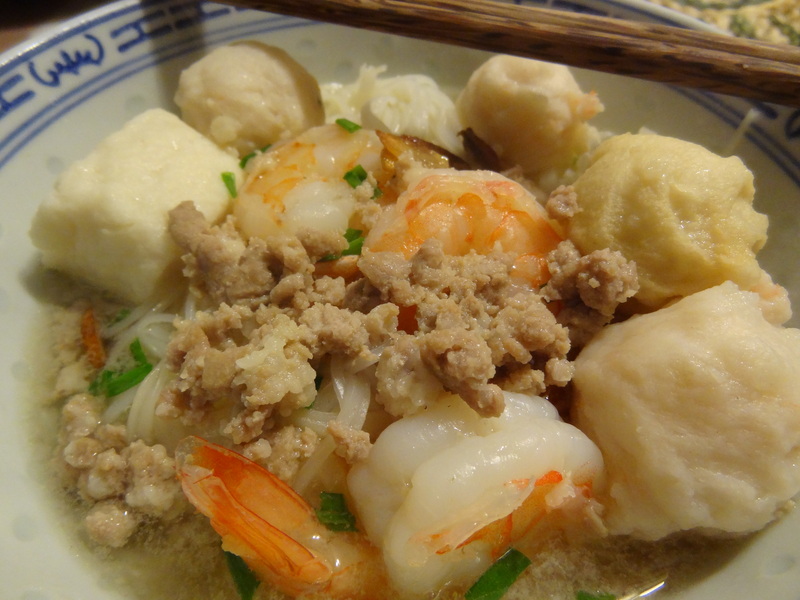 One of the dishes that I learned to make over the holidays was Ginataang Hipon Kalabasa. 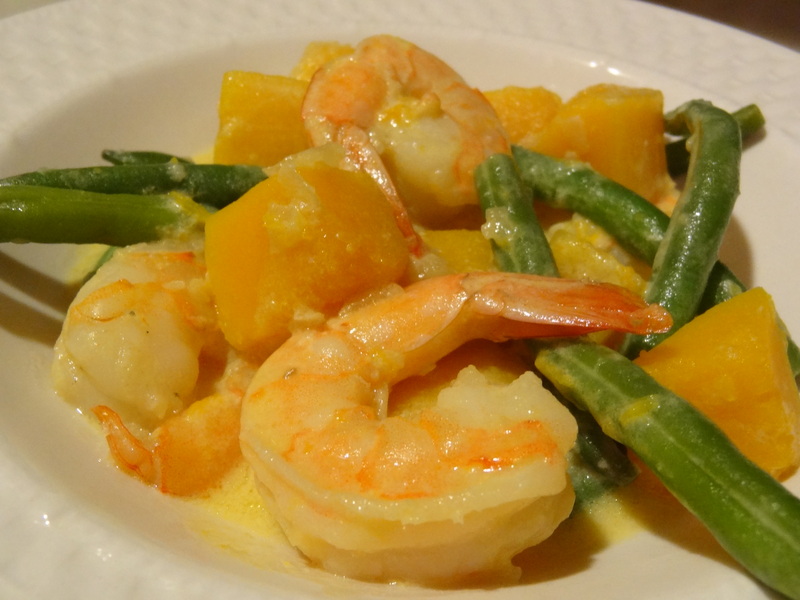 Basically, it’s a veggie dish made of kalabasa (squash), long beans, coconut milk, and shrimp. 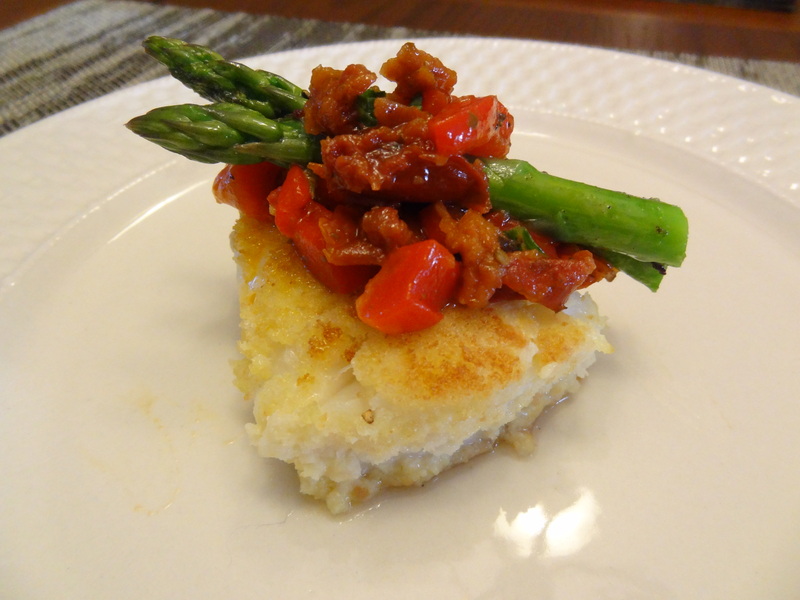 It’s such a hearty and healthy dish; Bjorn loved it and approved! In a large pot, over medium to high heat, drizzle olive oil and add in onions and garlic. Saute for a few minutes until onions are translucent. 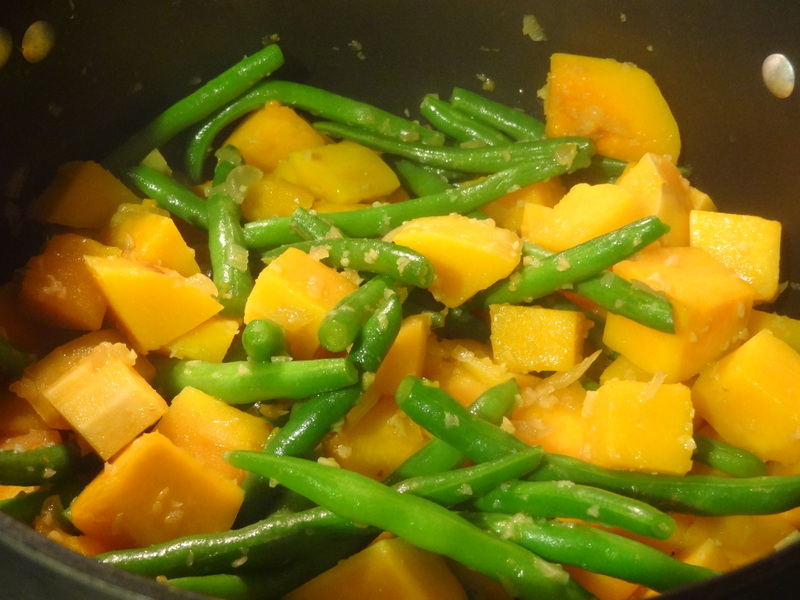 Toss in butternut squash and string beans. Saute for 5 minutes. 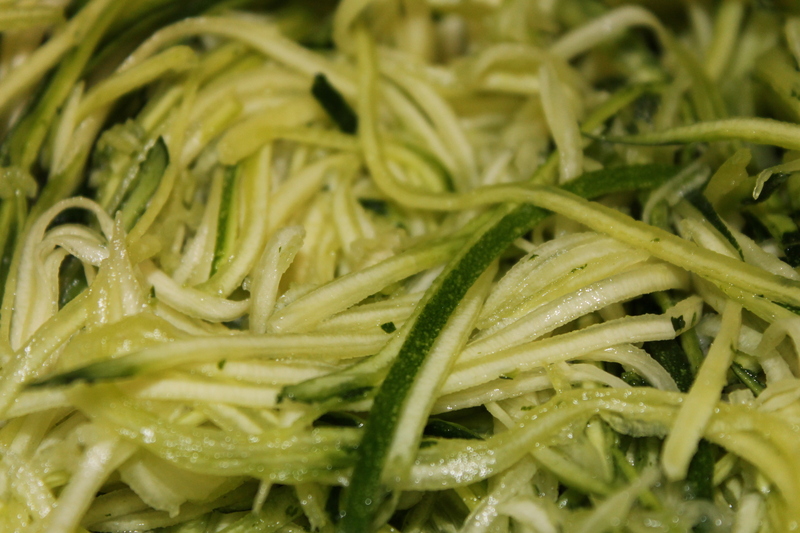 Add 1/4 cup of water and cover for an additional 5 minutes or until the squash is tender. Add coconut milk and fish sauce. Stir well. When the liquid comes to a boil, add in shrimp and mix well. Turn the heat to low and simmer for 15 minutes.